Britain’s top soldier – who has spent a professional lifetime defending the realm – last night joined the battle to save huge swathes of Norfolk from being surrendered to the sea. General Sir Richard Dannatt, who is a Norfolk farmer and president of the 2008 Royal Norfolk Show, said it would be a tragedy if plans to allow the sea to breach coastal defences between Horsey and Winterton, were allowed to go ahead. 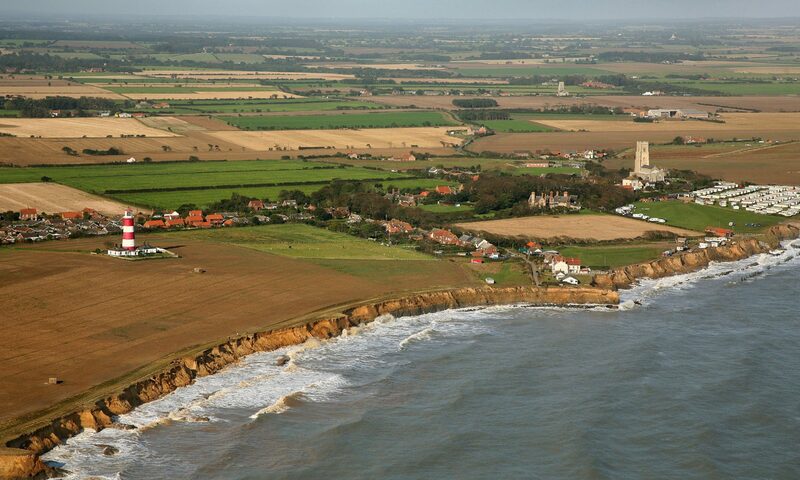 Speaking exclusively to the EDP, Sir Richard said he was shocked to hear that the area around Horsey – one of his favourite locations in the county – was at the heart of proposals to allow the sea defences to be breached in a move that would see 25 sq miles of the Broads surrendered to the sea. The General, who pointed out that he spent his professional life “defending UK interests” and by definition, potentially protecting UK territory, added: “I think to give up a great chunk of Norfolk to the sea without a fight is something I find quite counter-intuitive and quite difficult to do. Sir Richard, who farms just south of Norwich, joins a growing group of campaigners who are opposed to the proposal by Natural England. The proposal is one of four being considered by Natural England, and would see low lying areas as far inland as Potter Heigham and Stalham – where new sea walls would be built – would be flooded. Hundreds of homes and thousands of acres of farmland and some of Norfolk’s top wildlife sites would be lost beneath the waves. The villages of Eccles, Sea Palling, Waxham, Horsey, Hickling and Potter Heigham along with parts of Somerton would be given up to the sea. The area would be allowed to revert to reed beds and saltmarsh. The other options under consideration are to “hold the line” of existing defences, do nothing and allow defences to fall into disrepair, and “adapt the line” by moving defences slightly inland. However, the Environment Agency has said that its present commitment is to continue to maintain the defences of the Broads for at least the next 50 years. Steve Hayman from the Environment Agency has also indicated that a further £7million of work is scheduled to take place over the next two years to continue the protection of the coast. Sir Richard has lived in Norfolk for the past 35 years and is passionate about the county, its landscape and the wildlife and conservation work that has been carried out in the areas affected by the proposal. He has been elected President of the Royal Norfolk Agricultural Association and will preside over the 2008 Royal Norfolk Show in June, which this year is expected to have a strong military theme to it. What better man to have on you side than General Sir Richard Dannatt, the Chief of the General Staff, when there is thought and talk of surrendering British territory? Britain’s top soldier – who also farms near Norwich, and is this year’s president of the Royal Norfolk Show – has voiced his opposition to Natural England’s idea of surrendering 25 miles of Norfolk to the North Sea. He thinks it would be a “tragedy” if it went ahead; he has stressed that giving up “a great chunk of Norfolk to the sea without a fight” is, for him “counter-intuitive”; and he wonders why, in resisting the sea, we can’t be more like the Dutch. Many people, in and beyond the threatened area, will like the sound of this. The “surrender” option is a worstcase one. It may never happen, and if it does it may be after another half a century or more has passed. The proposal has caused immediate pain and worry for many people, however, and runs against the grain of both the national and local character. It seems doubly appropriate that the 2008 Norfolk Show is expected to have a military theme. Be prepared to wear a tin hat. We shall fight on the beaches… we shall fight in the fields… we shall never surrender.